Anthony Joshua’s team is “begging” for a world heavyweight unification bout, says WBC champion Deontay Wilder. The American, 33, controversially drew with Britain’s Tyson Fury in Los Angeles earlier this month. The WBC has since sanctioned a direct rematch after a “unanimous agreement” in a meeting of the board of governors. “They’re definitely begging now. His management have been trying to reach out to mine all of a sudden,” Wilder told Joe Rogan’s podcast on Monday. “He could have had this opportunity, he had many opportunities; he could have fought Luis Ortiz, he could have fought me, he had a chance to fight [Tyson] Fury. A bout between WBC champion Wilder and Joshua – who holds the IBF and WBO, WBA belts – would unify the titles in the heavyweight division. 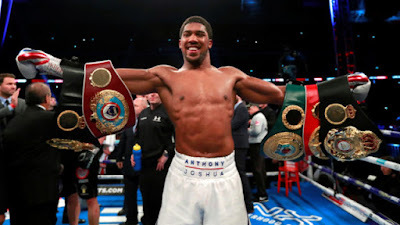 Joshua’s promoter Eddie Hearn has previously engaged in failed negotiations with Wilder’s team. The 29-year-old British boxer is yet to confirm an opponent for his next fight on 13 April at Wembley Stadium, with Hearn saying “it comes down to what Wilder wants to do”. “Wilder is our absolute first and golden choice,” Hearn said.